AURA 2015 Young Athlete of the Year award winner Lucy Bartholomew. Image – Philipp Reiter. Last month (January), the Australian Ultra Runners Association (AURA) announced the winners of its annual awards, and it was an amazing line up of talented athletes from across the country who were given the honourary titles. The organisation was proud to reveal that 19-year-old endurance athlete Lucy Bartholomew from Melbourne took home the title of 2015 Young Athlete of the Year. 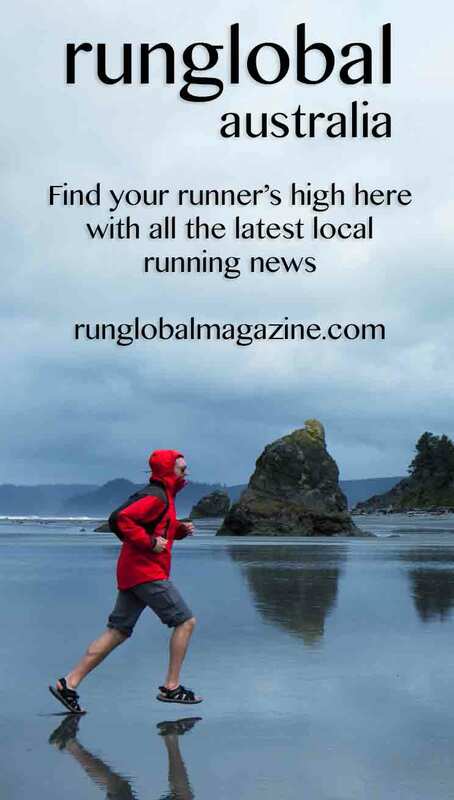 Bartholomew told Runglobal Australia she was extremely honoured and elated to have been recognised amongst a group of worthy runners, and was smiling continuously with pride ever since. “It’s a real pleasure to be a part of the Australian running community and to receive the award,” she said. Bartholomew claims an impressive race background, having competed in the Mount Buller Skyrun (45kms) and Hounslow Classic (64kms) as well as the World Ultra Trail Championships (85kms) and Yurrabilla (56kms). She began racing only three years ago at the tender age of 16 after having crewed for her father at the North Face 100 (now known as the UTA100). “I didn’t know how to get from checkpoint to checkpoint so I obliviously ran in front of Dad and cut corners to get there before him,” she explains. “It’s amazing how a decision like that changed my life- I loved it. “I then wanted to run 100kms too so I entered the Surf Coast (100kms) and was told I had to run with my dad, but it was such a rad experience; I went back the following year and ran solo 3.5 hours faster and got second female! Bartholomew said she didn’t have one ultimate goal or race to aim for, but she did excitedly say she was happy just to be pushing herself and have the ability to inspire others. “To get more young females out running and inspiring people is my main goal, running is the way I have found to do that, it gives me the most happiness,” she said. AURA president Robert Boyce said the calibre of athletes in this year’s awards was impressive, and he was pleased to see the world of ultra running gaining serious momentum in the sporting scene. “We don’t get a lot of young ultra runners as it is, and Lucy for ultra running is extremely young,” he said. “We’d only have half a dozen members or so who are under the age of 25. Boyce said AURA was extremely proud of all its athletes, and in his eyes as president, the awards were very sought after. “We’re very lucky that in all categories we have amazing athletes – it’s not easy to get there, there’s a lot of work involved,” he said. The AURA Male Athlete of the Year award went to Brendan Davies from NSW, who represented Australia in the 50kms and 100kms, and won 19th place both times in the world. Kirstin Bull, from Victoria, was given title of AURA Female Athlete of the Year after setting the Australian open record for the 100kms in last year’s IAU World Championships held in the Netherlands. She broke the existing Australian record, set in 1995. The AURA Brian Smith Award was presented for the greatest single best ultra running achievement by a male of female under age 60, and went to Queenslander Matthew Eckford. The Cliff Young Award, for the greatest single best ultra running achievement by a male or female aged 60 or older, was handed to Barry McBride from South Australia. To keep up to date with Bartholomew’s running career, visit her facebook page here.